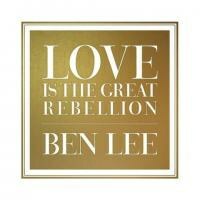 Ben Lee’s latest album unfolds as possibly his most seductive set yet, even despite its series of heady observations. Aussie expatriate and current L.A. resident Ben Lee has never taken a predicable path. And et, that in itself is part of his charm. Beginning with his stint with the lo-fi teen band Noise Addict, he’s made it a point to stir irreverence and insurgency in equal measure. The group’s first single, the cult hit “I Wish I Was Him,” was a not so guarded swipe at Evan Dando. In 2009 Lee elevated his ambitions considerably while fearlessly delving into conceptual works courtesy of the album Rebirth, of Venus, a tribute to the Roman goddess of love and sexuality that served as the album’s namesake. Two years later, he reemerged with an equally compelling notion, one even more adventurous, namely, a song cycle that revolved around a variety of nocturnal ruminations. Deeper Into Dream was as vivid as it was visual, ten songs sandwiched between passages that found a seemingly random group of people offering detailed descriptions of their dreams. That was intriguing enough, especially since most of those night time encounters were significantly weirder than those experienced by the people listening to Lee’s descriptions. not so surprisingly then, its songs maintained that same somnolent quality while still appealing to his audience’s more intellectual instincts. Yet, despite these sometimes unlikely underpinnings that accompany his work, the most common elements in Lee’s musical trajectory have been his unfailing flair for melody and his songs’ immediate and uncommon accessibility.With that in mind, it really does say something that Lee’s latest album, Love Is the Great Rebellion, actually unfolds as possibly his most seductive set yet, even despite its series of heady observations. Like the aforementioned Deeper Into Dream, it holds together remarkably well as a unified, complete concept, a series of songs conveying like a zen-like mantra and philosophical thoughts on life, love, God and related subjects of similar consequence. Of course by now, it’s also evident that subjects which demand a bigger view and a bit of a upward glance are fair game, and indeed, Lee pulls it all off with his usual aplomb, opting not to preach or proselytize but rather to offer instead a quiet assurance that allows each of these songs to boldly shine. The singular allure that graces “Everything Is OK”, “The Universe Inside” and “The Body of Love” comes across as both optimistic and inspiring, a series of sunny anecdotes for a world that’s gloomy at best and downright despondent at worst. Ultimately, we can leave it to Lee to interject some cheery sentiments into this unwieldy mix and find a way to avoid temptation to simply leap from the nearest bridge. Indeed, when he expresses his celebratory stance on tunes like “Giving Up on Miracles”, “Happiness” and “Big Love,” the ebullience and exhilaration are practically contagious. There’s cause for cheer yet and thankfully this particular rebellion offers plenty of reason to rally around the cause.